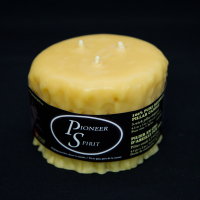 All of our candles are handcrafted from start to finish using quality Canadian beeswax. 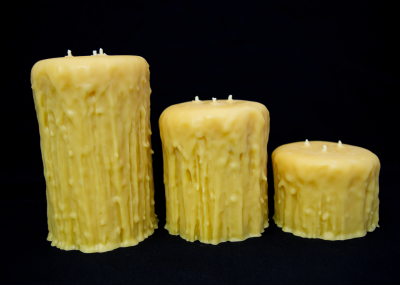 Designed for the beeswax candle enthusiast, our 3-wick dripped pillars are hand poured and are hand finished using skilled techniques the pioneer chandlers use to do. We recommend placing candle on a fire resistant pillar plate. Please refer to ourCandle Care & Burning Guide under our Help Topics section for further information on important safety tips as well as our recommendations for getting the most of your candle. We recommend placing candle on a fire resistant pillar plate. 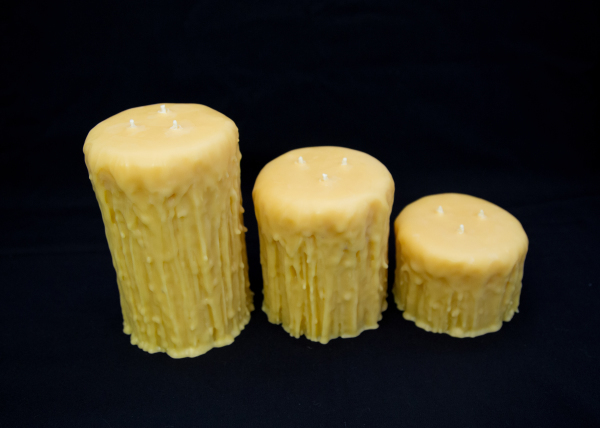 Please refer to our Candle Care & Burning Guide under our Help Topics section for further information on important safety tips as well as our recommendations for getting the most of your candle.